The American Metalcraft STRD212 Affordable Elegance™ serving tray is made of stainless steel for strength and corrosion resistance. It has a chrome-plated finish that gives a bright, polished appearance. 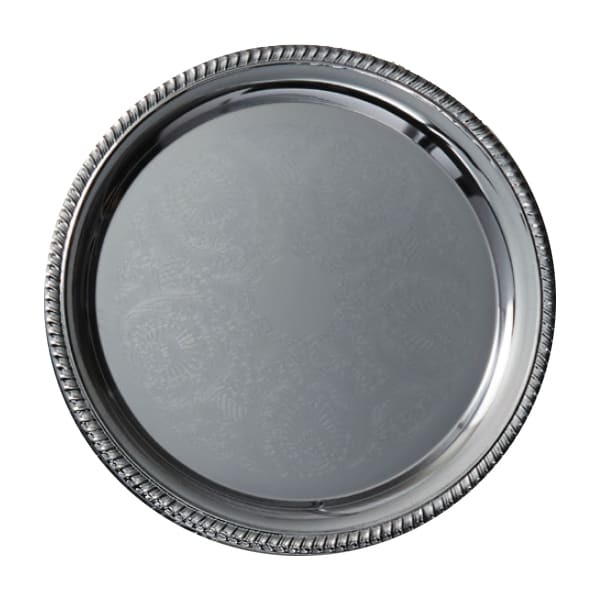 Its embossed rim provides an elegant appearance that belies its economical price point. The American Metalcraft STRD212 serving tray should be washed by hand and dried with a soft cloth.